Who doesn’t remember Popeye, the famous cartoon sailor from our childhood, who used to get superhuman strength by gulping down a can of spinach? This legend probably had something to do with the content of iron in spinach, as iron is a mineral that protects against anemia and the feeling of weakness that results from it. But in fact, iron from any vegetal source can only be properly absorbed by the body if eaten with foods rich in vitamin C, such as sweet peppers or citrus fruits. Apart from iron, there are many other good reasons for including this leafy vegetable in your menu: it’s an excellent source of folate, vitamin A and K, a good source of magnesium, manganese et copper, and it also contains antioxidants. 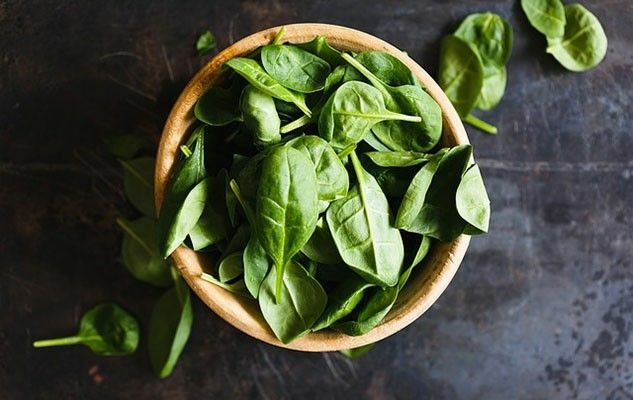 Spinach was unknown to the Greeks and the Romans and it was first introduced in southern Europe by the Arabs, before spreading to the rest of Europe. Catherine de Medici liked this vegetable so much that she carried it (along with her cooks) to the court of the French king in 1533. An unusual presentation for a very simple dish. Originally published in the Journal de Montréal on June 28, 2008. « Clam Chowder… with mussels!